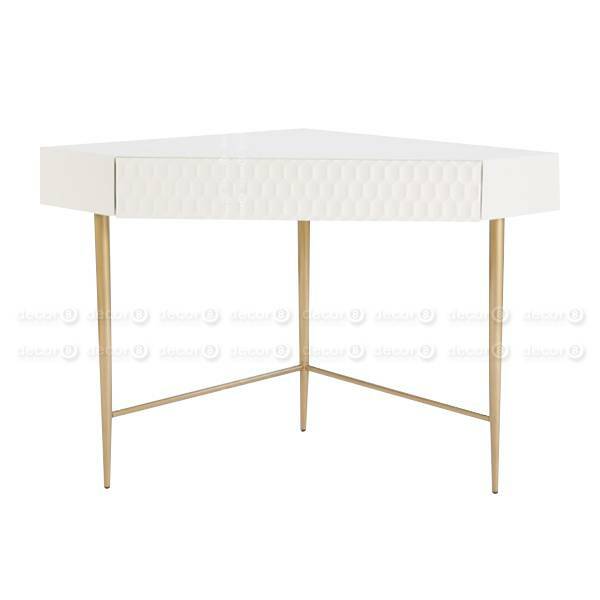 The Mila Contemporary Corner Table is a high end luxury bedroom corner table with brass plated brushed finish metal leg structure. 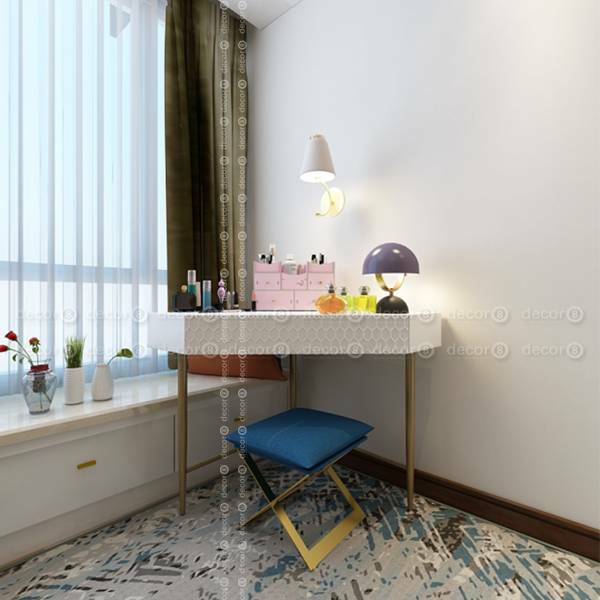 This white corner table is a compact corner dressing table and corner vanity table. 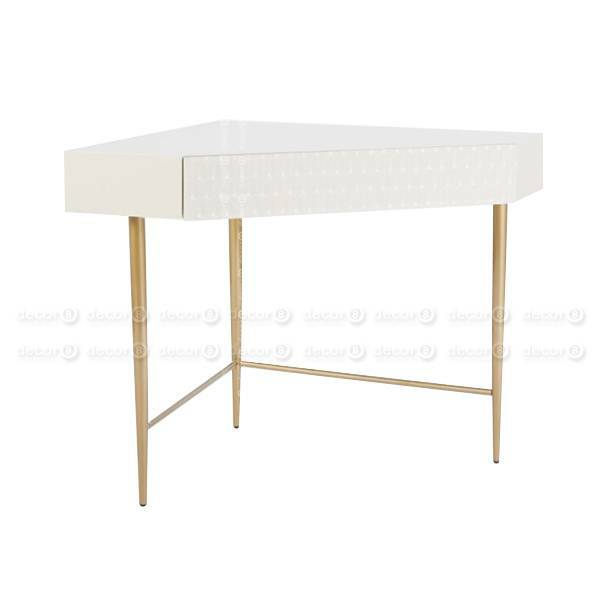 This white dressing table looks great in white interiors. Suitable for luxury bedrooms, modern and clean interior designs. 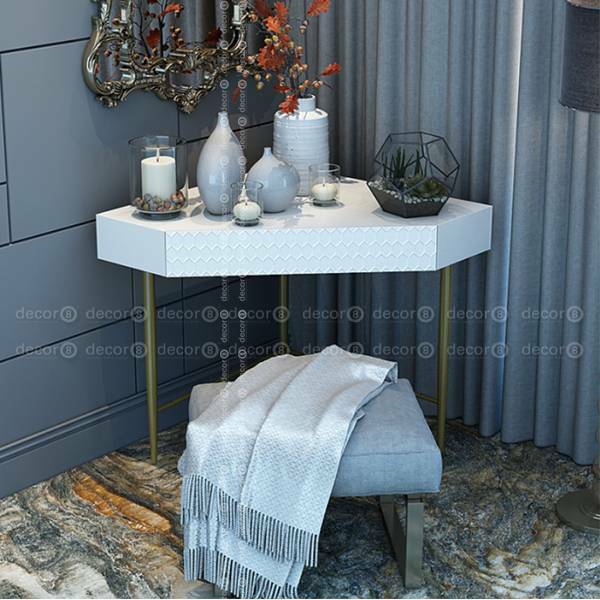 This white bedroom corner table is an eye catching piece of modern furniture for luxury interiors, and can be used in the living room as well. 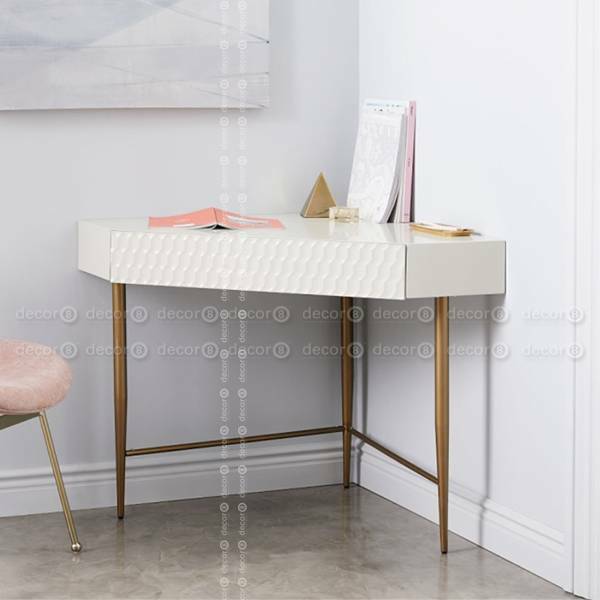 The Mila Contemporary Corner Table is a modern corner table that is timeless and looks great in residential, retail and commercial interiors.